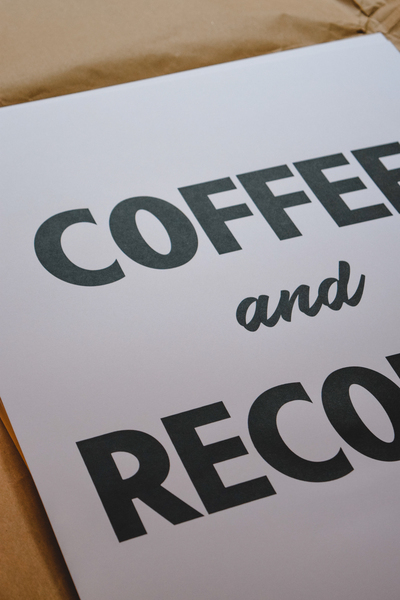 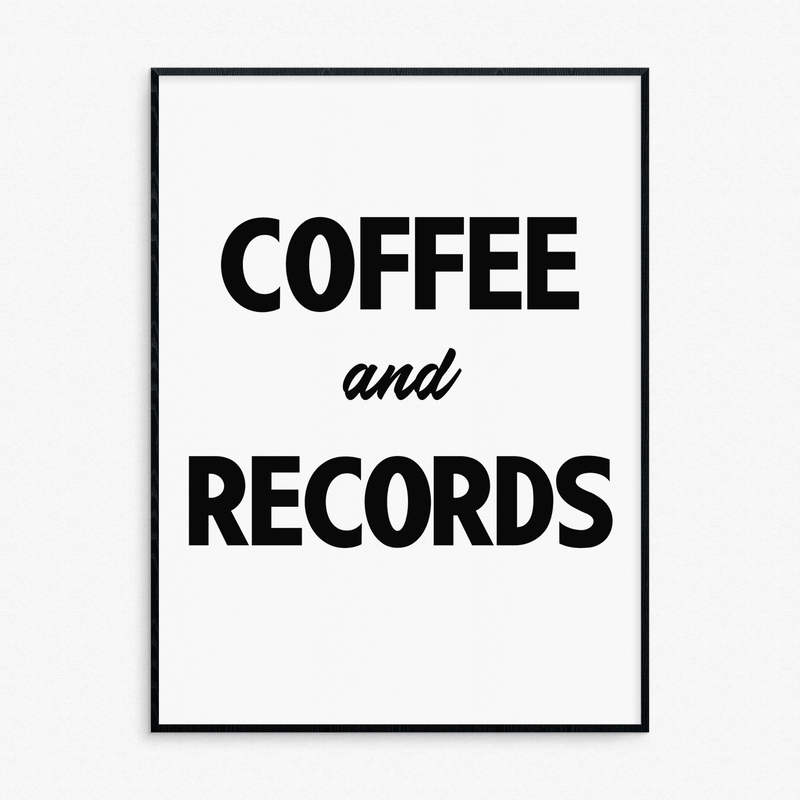 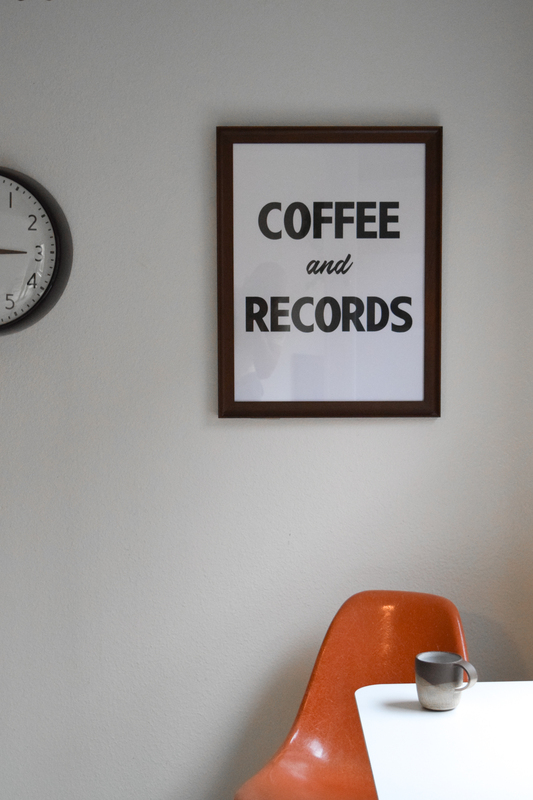 We are pushers of both coffee and records. 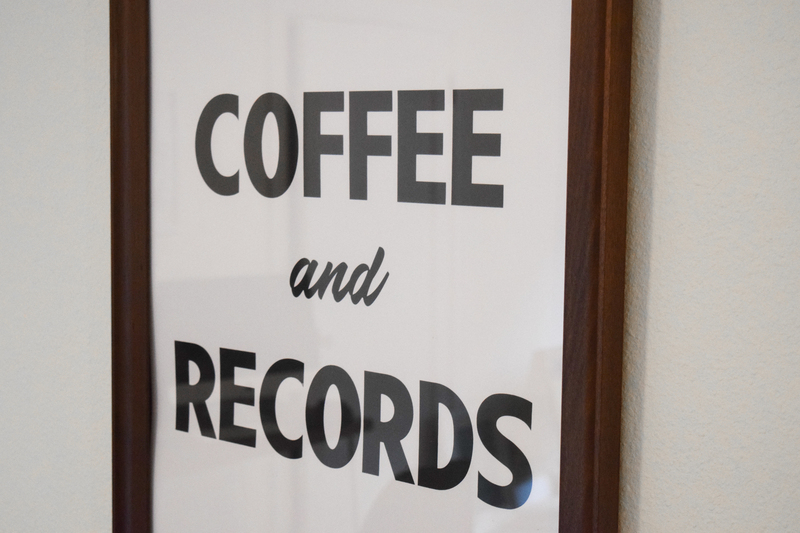 This silk screened print features our two favorites in the style of old hand painted signage. Measures 18" x 24", with black ink on thick white art paper.